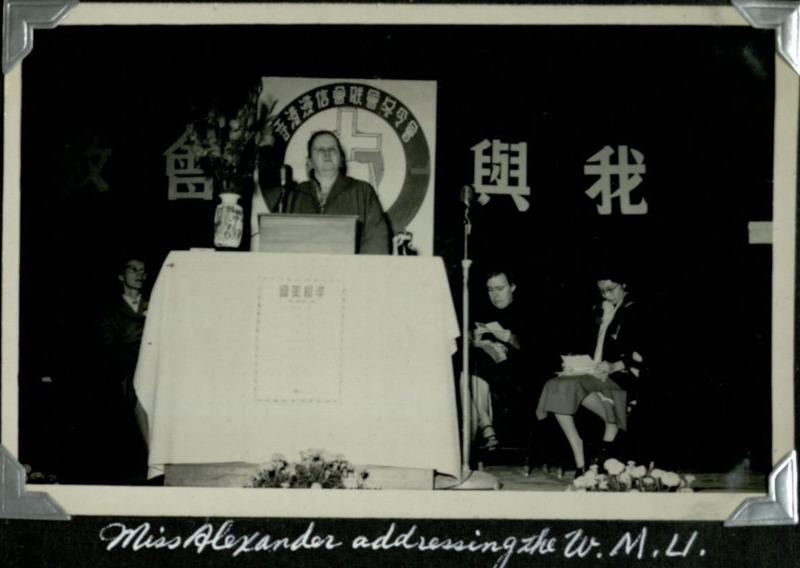 Mary Charlotte Alexander, a Southern Baptist missionary in China and General Secretary of China Woman’s Missionary Union in Shanghai, addresses the crowd. Mary Charlotte and Frances Alexander papers, 1920-1970 (#1966): Documents the lives of two sisters: one a Southern Baptist missionary in China, and the other sister, a teacher and author in Texas. The correspondence, manuscripts, and photographs provide insight into the perspective of an American expatriate living in China during the Second Sino-Japanese War and the Communist Revolution. Zora Francis Greenway papers, 1946-2006 (#4005): Materials include correspondence, newsletters, and photographs about the personal, medical, and evangelistic activities of a female Southern Baptist medical missionary in Nigeria, Rhodesia (now Zimbabwe), and Ghana. San Antonio Traction Company. Souvenir of the Picturesque Alamo City, San Antonio, Texas. San Antonio: Ebers & Wurtz, 1907. Print. 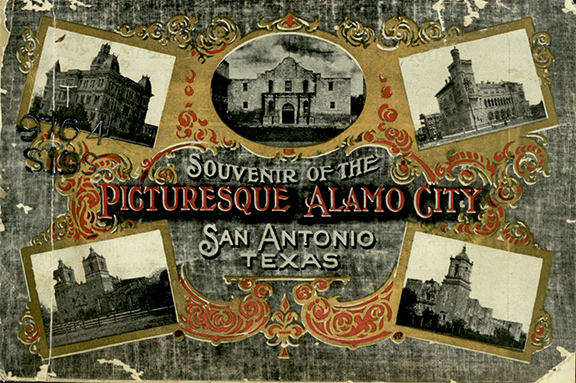 This substantial volume, filled with photographs representing turn-of-the-century San Antonio, contains many advertisements. The final twenty pages of the volume provide additional information about the history of the Alamo, the missions, and other points of interest in San Antonio. Click here to view in BearCat! Quickfall, Bob Grantham. 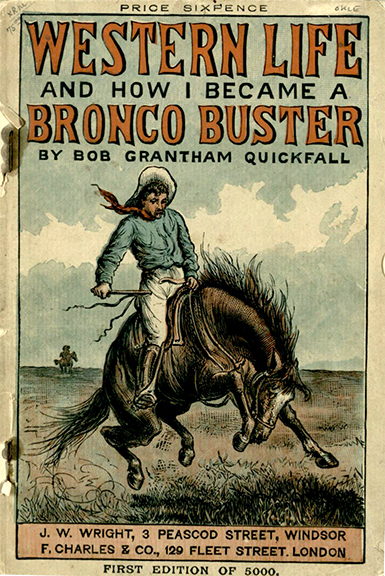 Western Life and How I Became a Bronco Buster: Founded on Facts. London: Charles & Co., 1891. Print. With a beautiful full-color cover, this volume contains the story of a cowboy’s life in the 19th century Wild West. Western volumes such as this one, published in London, were immensely popular in Europe. Click here to view in BearCat! Laporte, Joseph de. Le Voyageur François, ou La Connoissance de l’ancien et du Nouveau Monde, mis au jour par m. l’abbé Delaporte… Paris: L. Cellot, 1773. Print. This French language travel volume was discovered in our backlog. What’s unique about this book is that part of the inside is hollow and can only be read through page 28. The rest of the volume’s pages have been cut, creating a book safe. 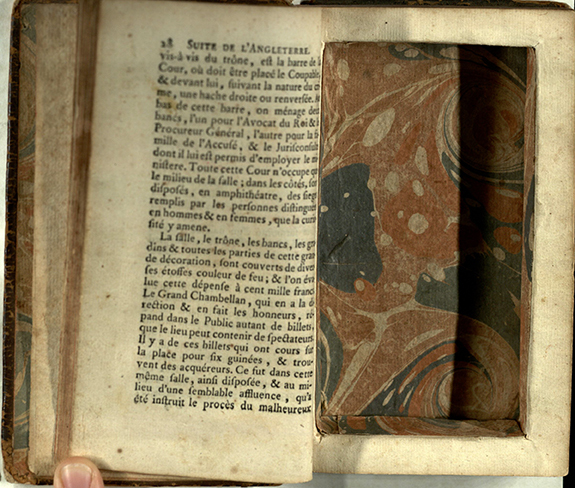 According to a note found in the book safe, this volume was discovered in a book shop in the New Orleans French Quarter. Click here to view in BearCat!